Flakmonkey is still around. PM him. He would probably give you permission to do so. Any chance of incorporating these interiors. 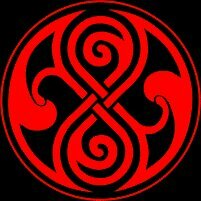 to SH4 for the OM mod? Hi FM, BIG thanks for this. This is the best one I have tested so far. I wanted to say that you have managed to create/keep the ambient perfectly. I LOVE this. I tried WAC5 with its full interior mod, but -although it uses your interior-, the sailors added there are an ambient breaker, together with other details which break the mood (lights, and their metal protection, etc). I prefer much more your static crew, although few and static they feel much more 'real', at least much more integrated. They are just fine. The mood and details you put there are so good that I am trying to use this mod with WAC5 instead of his own full interiors. Even if that means losing the full interiors in type IX and II. Do you have plans when to add the aft torpedo room? I can't wait! Last edited by Darkbluesky; 11-21-2017 at 03:45 PM. Anytime I start turning my head, it crashes the game. I wanted to ask about this excellent mod: I've got it working fine on a Type VIIC playthrough and it's fanatstic. I've tonight tried it on my Type VIIB playthrough and...all the hatches are shut "downstairs" - no response from the usual SHIFT + H / CONTROL + H to open and close them. Works fine outside on the conning tower and foredeck still, but hatches are refusing to comply inside the sub. After much fannying about messing with the mod load order (thought it might be a few other mods messing with it) I am still having no joy. Went back and tested it on the Type VIIC playthrough...everything works just fine. Am I right in thinking this? Or have I made an error / is there a mod clash...? The hatch control is linked to the weapons officer, I think. One has to have him in his station, for the hatch to move. Thats makes perfect sense. I usually leave WO position empty beginning and end of missions. That explains why. Thanks Rhodes. I come here to ask, where is the readme pdf? In the OP post says it is included in the download but I can't find any readme file. This closes the "open hatch" mod of GWX, right? how can I access the other rooms? Thanks! This is exactly what I needed! I have a question whether it is possible to make the module turn on and turn off the red light. And stabilize movement. It is a constant height. He said he used v2.1D, but there is a completely modeled e-engine-room (9:55). Couldn´t contact him so far and ask him. Does anyone know more?